I am so excited to have made it to the final voting round for Miss Viva Las Vegas!! But now, I turn to all my wonderful friends and followers as I need your vote to get me to the finish line. Winning the title of Miss Viva Las Vegas would give me the opportunity to connect to a larger audience with a message that speaks of motivation, achievement, and education for women, men and our youth. As a modern day Pinup Girl with an incredibly strong work ethic, I am a firm believer that your attitude determines your altitude and it starts with confidence and education. Inner beauty plays a major role in this competition. Of course I will post and share lots of photos from the many Viva events for you to enjoy as well video so you never know which Pinup or Burlesque doll I will be hanging with!! 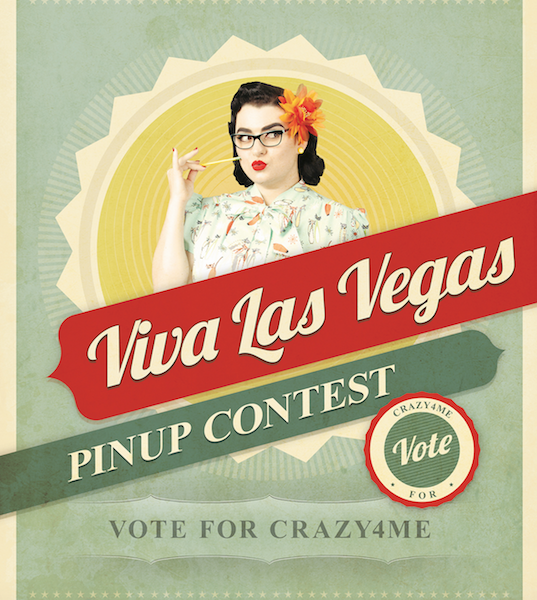 Please vote at http://www.vivalasvegas.net/pin-up-contest and look for my picture (the Pinup secretary) Make sure to check your email and confirm your vote. Mobile voters using the Chrome browser, please go to the settings (three dots on the top right) and check the box “request full site”.